Sugar Hebert arrives home from a ten-minute errand to find her husband shot to death and the rest of her family missing—including her daughter Reed, heir apparent to the Hebert restaurant dynasty, and Reed's eleven-month-old daughter. 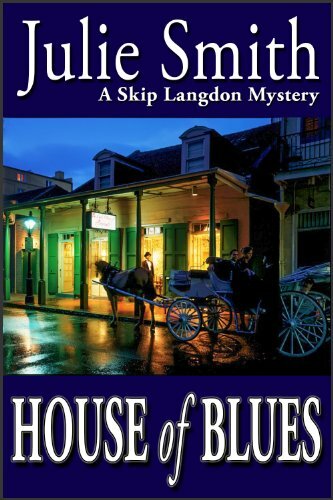 Detective Skip Langdon’s hunt for a murderer and the missing Hebert heirs embraces worlds within worlds—splendid but dangerous Garden District digs, Faubourg Marigny drug dens, broken-down projects, lowdown bars, an elegant hangout for crooked politicos, and a dealer’s crib masquerading as a sultan’s palace, harem and all. A palm reader warns Langdon of danger, but it comes when she's least prepared for it. Before long, the mob’s involved (maybe there’s a reason Hebert’s Restaurant won the lucrative casino contract), and so are family secrets so ugly they’d make Tennessee Williams wince. Everyone has them—the Heberts, the mob princess, even the crooked cop.